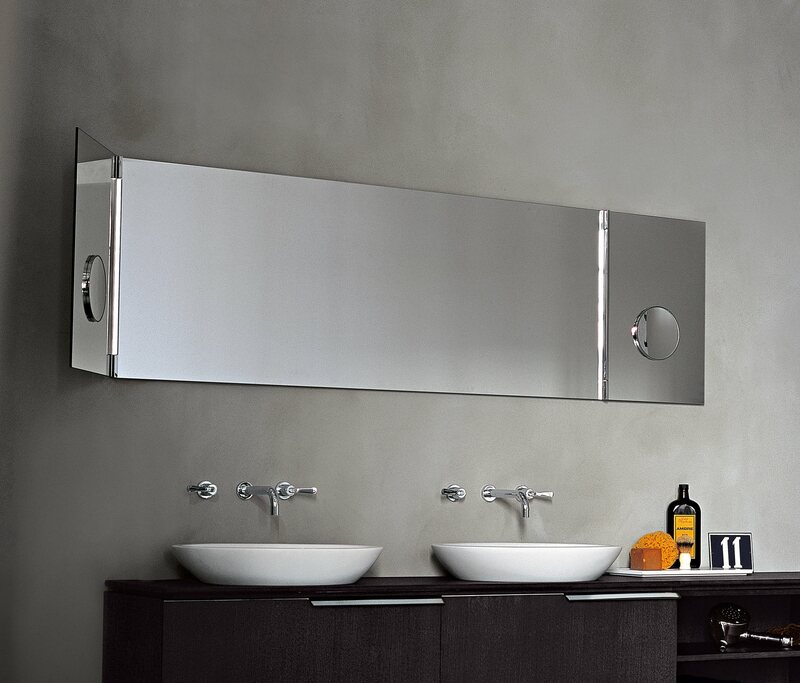 Specially for people who like to see things from all sides, Narciso is a mirror split into one large centre panel and two double-sided pivoting side panels, supported on exposed, chromed brass hinges. Available in various widths and 400 or 600 mm height. 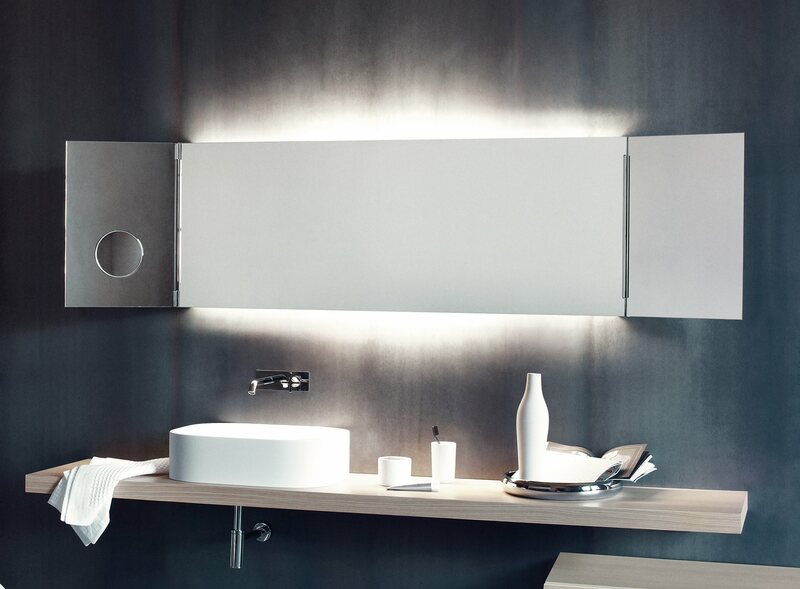 The simplicity and expressive impact of the Narciso mirror are further emphasised by the backlighting system that gives it extra prominence on the wall, creating a play of reflections, light and shadows.